It has been a while since I get back into Beta and played around with the new specs and new play styles. I forget what build we’re at now, and frankly, I’m not following the changes as hard I had been a few months ago. It’s not because I don’t care, it’s because keeping a constant vigil on a moving target such as with the many changes going on in Beta is daunting. However, I spent close to six hours in Pandaria last night playing around with the new talents and demons, questing in the new zones, and trying out the re-worked specializations. I’m sure there will still be many more changes in the next few months, and as it stand now I feel that warlocks have a pretty good chance at redemption. Before I dive into my current thoughts on each spec we should come to a quick agreement on the precarious precipice the warlock class reconstruction will be. This looks intimidating doesn’t it? Um, does that look like green fire to you? To be honest, I wouldn’t want to trade places with any Blizzard developers now. They are walking a delicate line between keeping the more experienced and die-hard warlocks happy while still making the class appealing to draw in a new player base. A lot of hard-core warlocks, like myself, fell in love with the class for several reasons. When we look at play styles, warlocks haven’t been the easiest class to learn and many experienced players love the fact that these casters bring a higher difficulty level to master. If you hadn’t played a warlock in BC or Wrath then trust me when I say any DoT clipping was bad for Dps. Your timing needed to be exact in order to keep up any sustainable damage and if you were off even a second or two before or after your DoT refresh time was detrimental. Besides keeping our DoTs perfect in their execution add in the correct timing of Lifetap with your Haunt’s return time to keep your health and mana levels up, then juggle your CCs, and your cooldowns, and your pets. It was never easy being a better than average ‘lock. Many players chose the warlock class because of their stamina and tricks for survivability. Yes, we wear cloth, but we’re not like squishy mages. Quick fights with high burst was never our forte even when running in Destruction. Destruction was the biggest “burst” for the buck, but even in Destro the long cast times and timing of cooldowns for short fights were not favorable and any opponents we faced had an advantage. However, the one thing we could count on no matter what spec we were running we always knew that the longer we could sustain the fight the great the chance we’d walk away “Winning” (as Charlie Sheen, a mage-wannabe-warlock would say) or still standing. With our crowd controls, demonic portals, and other fun Dark Art tricks warlocks are able to sustain and keep going like the Energizer Bunny, we’ve been the Rocky Balboa’s of the caster world and that’s the main reason I know that I fell in love with Affliction. A caster pet class is another reason people rolled their warlocks. 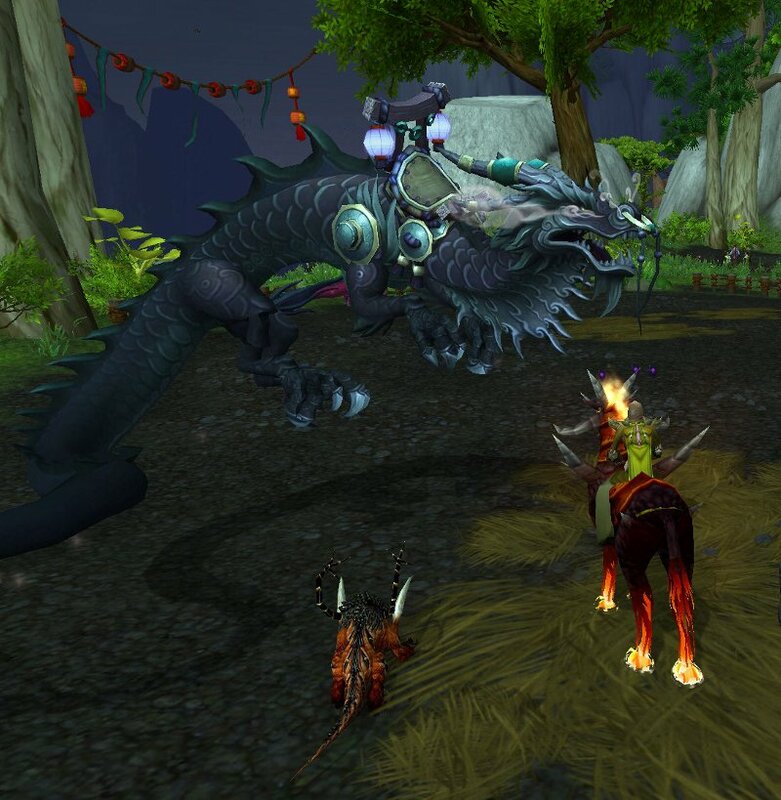 We aren’t able to pick or even abandon our pets for another model based on our whims like hunters, but the fact remains these faithful and sometimes resistant minions are truly an extension of ourselves bringing Dps and utility. Yes, they are tools and pawns to command, but they become much more. Our minion’s buffs, dps, CC, interrupt and AoE abilities bring an added flair to our play style along with their assortment of personalities. Right here and now, I know I for one would like to take the time to thank the Twisting Nether for all of my personal servants I have been fortunate to summon over my entire warlock career. My demons turn solo questing into playing with a friend, and they have saved my warlock rear-end on more occasions that I can count. Whenever my imp, Dagrin, acts up with his snarky remarks I always say aloud to the screen, “The beatings will start my friend until your morale improves!” It sounds dumb I know, but it’s fun even if I imagine it in my mind. Yep, that’s the one I want! Who wouldn’t? 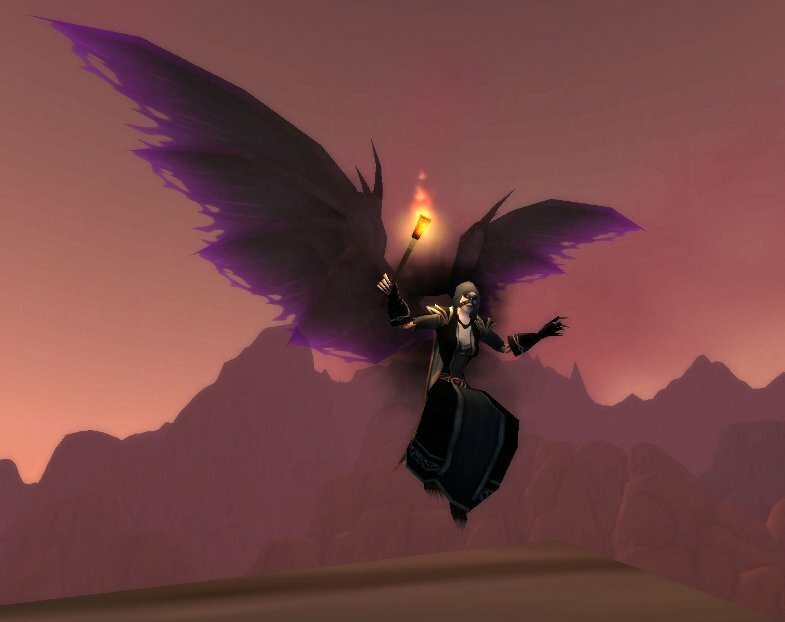 Another reason many people rolled a warlock was due to the iconic idea of a Dark Caster. The mysterious brooding personality, the loner, the person you don’t want to upset and often difficult to understand. I hate to bring up Charlie Sheen the actor again, but why do you think this mage impersonating a warlock claims to be a warlock? Hrm? Well, if he said he was a wizard of light or even the famous Dumbledore his chances at getting girls or having a higher ranking with popularity would be nill, zero…nada! So as not to offend our female warlocks I’ll give a female perspective as well. Here’s two famous female names: Angelina and Jennifer. Which provokes more of a warlock image? Get my point? Sometimes, it’s just more fun to player the darker personality. We may have a villainous image but that is only to our enemies and to mages who stand in the road between control points. Being mean and evil to our enemies is all good fun. Trust me! Roll a warlock and you’ll see what I mean. When people decide to roll a new toon or an alt it’s almost like an interviewing process. I’m sure you see it unfold too in chat channels or hearing the conversations in vent as they start with small probing questions. “So do you have fun playing a Paladin?” “What do you like about it?” “Which spec do you like?” “Which race is best?” “What don’t you like about it?” The first question is always asking if the other player is having fun with their toon. The person probing with these questions are simply looking for reasons and validation as to why they should invest their time and energy into that class too. If a class is fun, players will follow. So at what point can Blizzard simplify the warlock class without upsetting the experienced player base while still making it appealing for new players? That my friends is a question no one can answer at this point. I’m sure it’s safe to say that they aren’t going to make everyone happy. Read the forums and you will quickly understand that no matter what they do they will never make every player happy or content. As much as I love WoW, it’s still a video game and it’s still a business. In order to keep their income and to keep people playing they will need to entertain and bring the “fun factor” in everything they design. Without too many details to bore you I’ll try to explain where our wonderous warlock class stands now in Beta between keeping experienced players satisfied, drawing new members, and where I feel Blizzard is hitting the mark on where it’s taking the class or where it needs work. 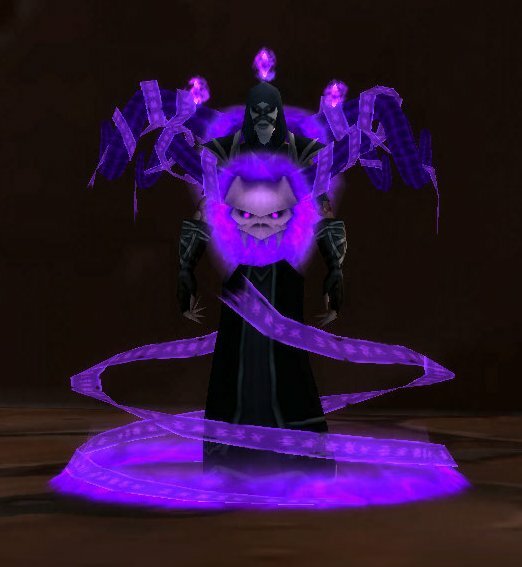 Affliction needs a few more new spell animations – Malefic Grasp (MG) even though it’s channeled looks cool. Nothing else makes me excited. The Demon Gate / Demon Portal needs a faster setup time after casting. The big “IF” in Affliction will be getting Haunt into something useable and fun. If Blizzard get’s Haunt wrong then experienced Affliction players will quickly move to other specs, or to other classes, or it will make them flee the game in disappointment. Everything else I suggested they could ignore and it wouldn’t be too bad. Haunt is the real question. Here’s the newest change I’ve seen – Haunt. It no longer speeds up your DoTs, it just increases it’s DD when it lands and increases all of your damage spells on the target by 20% for 8 seconds. We shall see. Out of the three specs in Beta, I have to admit it…I’m really liking demonology. If you have been following some of my previous posts I played Demo the least over my ‘lock career. In fact, only lately did I seriously jump into trying it out. Why am I enjoying it? Who knows? Maybe because it’s a new shiny to learn? Maybe because you have a flood of demons? Maybe because it’s fun to play around with it? Maybe it’s the new spell animations? I think I like it because it’s a mix of all those reasons. Yes, I know some people are gnashing their teeth because there is no “Demo Tanking”. I was on the fence either way about being able to tank or not, but I feel that Dark Apotheosis still needs a clearer vision as to how it fills a niche. Carrion Swarm needs an animation revamp – all the cool stuff they have done and CS gets a large yellow and slowly moving bubble? Bleh! Boring! The two main fixes that needs addressing IMHO to make this play style viable is giving the locks more to do in both Meta Form and Dark Apotheosis and having a clear direction for DA. 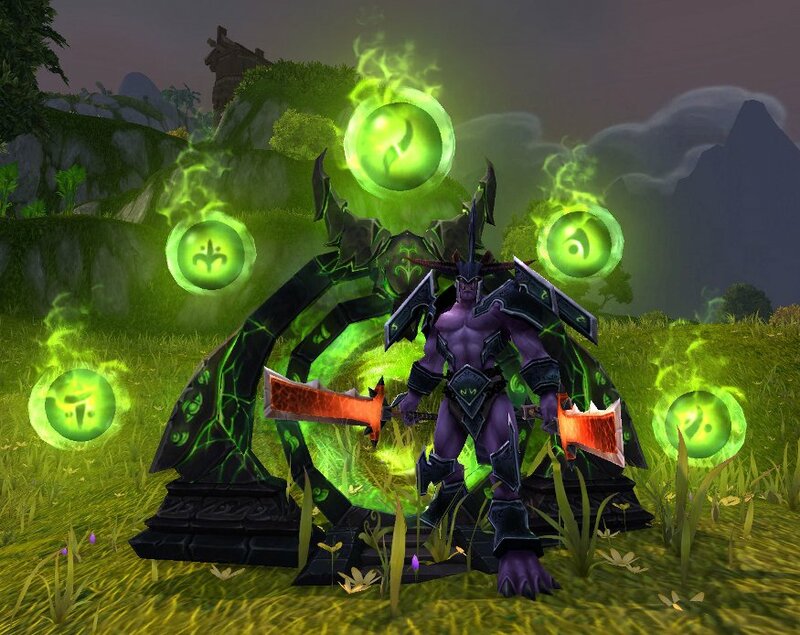 As it stands, I truly believe that Demonology has the biggest chance at making new players want to level a warlock. From growing horns & wings, to having three Shadowbolts, to proccing four extra imps fighting next to you and then eventually turning into a demon yourself through Meta – all of these changes are making other players whisper me asking questions when I’m at the target dummies. I’ve only gotten one whisper on Affliction when someone asked me about the ugly-pink shards on my head and I have yet to have anyone ask me about Destruction. Go to the target dummies and run through some Demonology and trust me you’ll get at least a whisper or two from people asking what certain spells you are casting. That’s it for Destro IMHO. I’m keeping this one simple because I’m hoping they don’t add another Improved Soul Fire fiasco where to get your buff you had to endure a unneccessary long cast time tax with Soulfire. I think warlocks still need some tweaks and small changes, but overall I think they are on the right track. There are enough new mechanics and cool animations to draw a newer player’s curiosity while still retaining many of the experienced fans and players if they can get the few problems I mentioned ironed out. Do I think warlocks have a great shot at redemptions? Yes, I do. The real question is…will Blizzard heed many of the veteran player suggestions and complaints? I know players will find the updated versions exciting to try, but my only hope is that the developers make the new play style sustainable. That’s some impressive research Amijade. It’s too smart for my small tree brain. Great read, even though I’m just playing around with Warlockism. My first toon was actually a Warlock. I tanked everything in Vanilla/WoW…Yes I spent 6 days a week raiding MC/BWL back in the day. End of BC I became severally burnt out, cause really warriors were the only tanks back then. So I rolled a mage, which was what I wanted, just a fire and forget type toon. How are you my magey-friend? Do you want to be known as Theerivs? River? Riv? Just let me know I hate to butcher anyone’s name. As always, I think it gets down to how and what you like to play. It’s your time and your money so enjoy it. Range dps or heals have always called to me, but I have some friends where anything tanking would drive them insane. BTW, yes…Felicia Day is adorable. Very well written post! I think that Blizzard definitely have to find the fine line between not scaring away older Warlocks from the class, and still be able to attract new players. My biggest worry is that it won’t “feel like a Warlock”. Hopefully they can strike that balance though. Destruction has been my spec of choice for quite some time, although I’ve dabbled in Affliction and Demonology as well. (I ended up being Affliction for most of Firelands since at that point Destruction just couldn’t keep up on most fights.) I hope they don’t mess it up too badly. I don’t want to be a two button class, but I also don’t want to deal with a clunky mechanic like Improved Soul Fire. Thanks! I can tell you that Demo feels like a warlock :) Affliction and Destro I’m holding out my opinion until launch. We shall see right? I really feel it’s a make-it or break-it for Blizz on our class in MoP. I hope they get it right and from what I can see they are trying. I love playing WoW and very rarely get disappointed so I’m pretty upbeat that they won’t let us down. However, the green fire thing… ha! I found you from The Instance; great article. I was looking for something like this to decide what order to level my 85s. I would prefer a 2-button class (TBH I loved my TBC sac 1-button lock.) I mainly heal but IMO when DPSing in recent raids I don’t think my class performance matters near as much as the unique-to-the-boss raid mechanics. So the less effort required for the rotation the more mental bandwidth is available to focus on the silly dance. But I can just read your site, find out the spec you like the least and play that :-) Although level demo which was fun even in Cata. I think I heard about a couple of glyphs that I thought were brilliant on Blizzard’s part. IIRC, you used a glyph slot and it reduced damage by a small % but greatly reduced the effort/GCDs in keeping a [de]buff up. So no EJ realm first raider would use it. But the masses could get something less frenetic without changing the EJ rotation. E.g. glyph of haunt instead of 20% for 8 seconds it is 11%? 17? for five minutes. First, thanks for taking the time to stop by and for taking the time to read. I currently do a lot of healing for my raid team so I understand you there :P (Resto Shaman) I also agree a lot of the encounters are all about mechanics however there still are some Patchwerk Tank-n-Spank style fights where Dps matters –> Looking at Ultraxion. As far as being too simplistic – if I come across as condescending I’m not trying to be at all. My concern is having only two buttons to push for long periods of time will probably grow tiring and possibly boring for a lot of players quickly (plus it’s fun to tease mages >.>) I’m not sure what glyph you mean, but I know there is one that extends the duration of Corruption and UA when you refresh them as compared to simply resetting them. I’ll have to find it and link. I think EJ is great and I think those folks do some fine work. 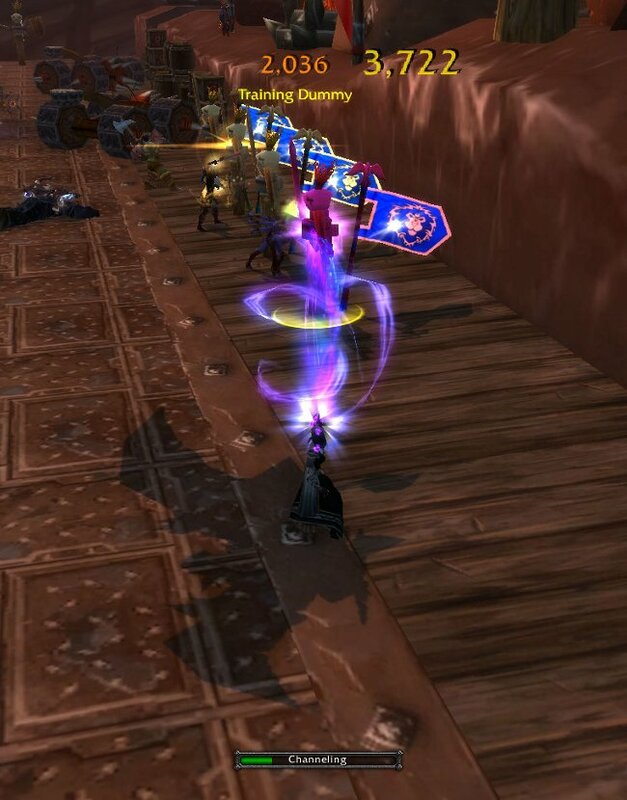 I would just like to see Blizzard make it to where you wouldn’t have to leave game to learn about your class and all the minor tweaking details. I’m a “set-it-and-forget-it” type of player. I’d rather be off questing or running dungeons or playing with friends as compared to sitting for a few hours trying to decide how I can reforge to squeeze out another 1k-2k dps. I don’t think they will give Haunt any glyphs that will make it OP. Right now, it seems to be used as one of our DoT throttles so people aren’t QQ’ing about locks :) Bah! They turned Haunt from it’s cool green animation to a big pinkish blob.